Boost your business and build professionalism with high-visibility vehicle wraps and graphics by Black Parrot Sign Studio! 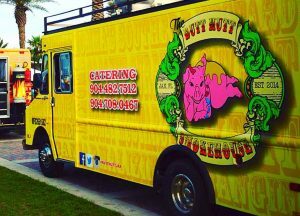 Whether you have a single food truck or a full fleet of commercial vehicles, Black Parrot Sign Studio creates attractive, impactful wraps and graphics for all vehicle types, needs, and budget. From consultation through installation, we ensure that all elements are properly placed and expertly installed for maximum effectiveness. 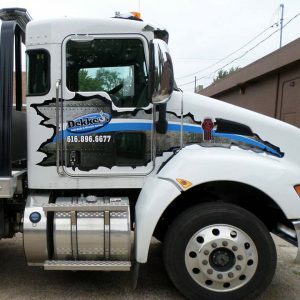 We create impactful, eye-catching graphics for any type of vehicle that you may possibly use for business, including truck wraps, van wraps, trailer wraps, boat wraps, magnets, and more. 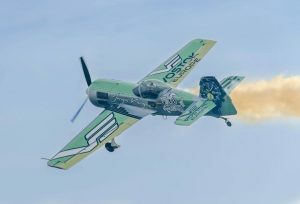 A full wrap may not be suited your needs or budget. Black Parrot Sign Studio offers a variety of vehicle wrap and graphic solutions, allowing you to get the right promotional tool to get your business and brand noticed. 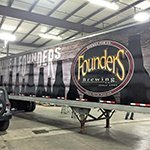 Turn your vehicle into a moving advertisement and get maximum visibility for your business and brand with a full vehicle wrap! A full wrap provides seamless coverage to your truck, car, van, trailer, or bus. With striking, full-color vinyl graphics applied to all visible vehicle panels, you have the ability to completely customize your layout, design, and message to suit your brand. If you want maximum visibility, eye-catching full wraps are the right choice for your business and vehicle. An added benefit, our premium-quality, heavy-duty full vinyl wraps also offers protection from road wear and damage. 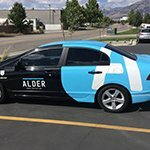 Partial car wraps zone in on a specific part of your vehicle for promotion. 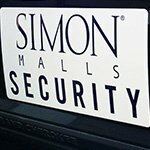 Whether you want to target the back half, side panel, hood, door, bumper, tailgate, or any combination of elements, Black Parrot Sign Studio will create a compelling design that ensures your message is seen and understood. A partial wrap often has the seamless feel of a full wrap when working with entire panels. 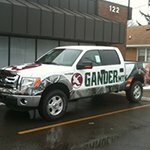 This adds to the professionalism of your design, and reduces the risk of damage to your wrap or vehicle. This is a great solution for someone with a simple message or more limited budget. 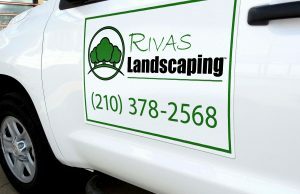 Cut vinyl graphics and lettering are also available for utilizing your vehicle as a promotional tool. 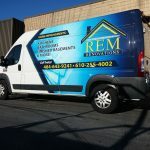 Vinyl lettering and graphics commonly display a simplified message used for branding purposes, such as your business name and logo placed on the door of your car. These are extremely popular for DOT registration information on semi-trucks, delivery vehicles, and other businesses that require licensing information to be prominently displayed. 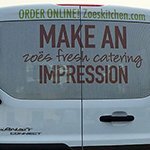 Vinyl graphics are a good option for those who want to share minimal information or that desire frequent changes to their marketing message. 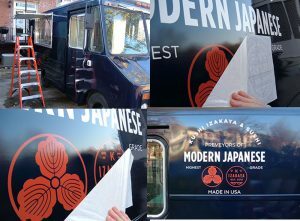 If you are looking for flexibility regarding when and where you market your brand, consider removable vehicle magnets as an alternative to a more permanent wrap or vinyl graphic. Available in many different style, shape, size, and color options, vehicle magnets can be completely customized for your business, vehicle, message, and brand. 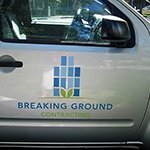 Custom vehicle magnets can be appropriate for many different business types, especially those who may also use their vehicle for personal use, may represent multiple companies at different times, or those who frequently travel to signage restricted neighborhoods. Perforated window film is the perfect finishing touch for a full or partial wrap, and can even make vinyl lettering and graphics look more like a complete wrap. Your vehicle occupants can easily see out of the vehicle, however those outside are presented with a clear marketing message. Vinyl window clings are a great addition to any business owner looking to take their messaging to the next level. Whatever your vehicle or business, Black Parrot Sign Studio knows how to maximize your visibility with impactful wraps and graphics. 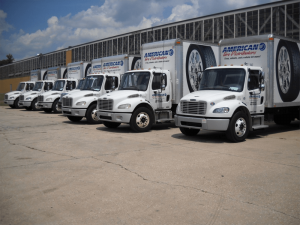 From single vehicles to entire fleets, and any other tool or relatively smooth object, we create impactful wraps and graphics that work for you. We ensure your wraps are impactful, with attractive layout and design to perfectly get your message seen, understood, and remembered. From learning about your business goals in our free consultation to installing the final wrap or graphic elements, Black Parrot Sign Studio delivers high-quality service at reasonable rates. In addition to impactful wraps and vehicle graphics, Black Parrot Sign Studio provides complete business signage , including indoor signs, outdoor signs, and specialized custom signs made specifically for your brand and business goals. 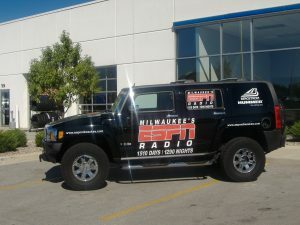 High-quality vinyl wraps publicize your business and increase customer confidence and perception. 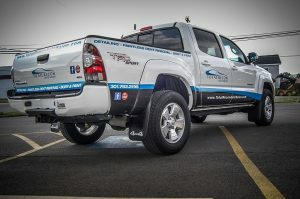 If your business requires you visit clients at their home, such as cable installation teams, contractors, or exterminators, wraps can be a great benefit. you may often find that homeowners are initially hesitant when you knock on the door. 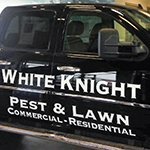 With vinyl wraps, clients are assured that you are with a brand they recognize, and feel confident welcoming you into their home. 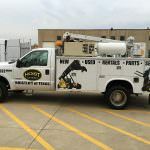 Fleet wraps are becoming increasingly popular across many industries, including delivery vehicles, distribution centers, handymen, electricians, plumbers, cable companies, repair techs, landscapers, dry cleaners, and other industries. 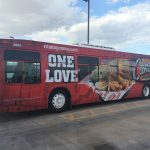 Every business can benefit from the right blend of impactful messaging and attractive, relevant graphics for their corporate vehicle. 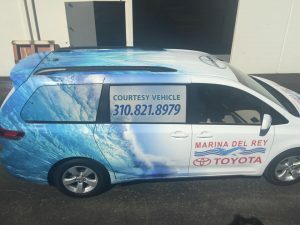 Promote your business on and around the water with our marine-grade vinyl boat wraps! 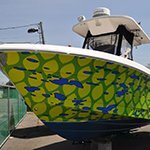 Withstand personal, corporate, or charter usage, our durable wraps provide consistent messaging while staying intact and attractive with exposure to saltwater and sand. This is a great option for marinas, charter fishing guides, parasailing companies, or any other business that works directly from a boat or beach. Your wrap can even serve as an effective marketing tool while docked! We can wrap anything! Black Parrot Sign Studio has the ability to take your design ideas and provide creative solutions for appropriate layout on all your different vehicle types. 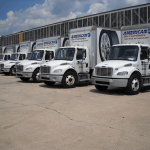 If you need a semi-truck and a compact car wrapped with a cohesive design, we ensure that your elements are the appropriate size and placement for each vehicle type. This means that your message looks great on every vehicle and everywhere it is seen! We love creating attractive, impactful vehicle wraps! Creating the perfect graphic design to promote your brand and highlight your most important message is an exciting challenge. All of our projects begin with a free consultation with one of our experienced sign experts. We learn about your needs, goals, and messaging to best understand what products, materials, and coverage options will best suit your needs. From there, our expert designers and manufacturers will work together to create all of the elements you need, pending your approval of the design. Once all components are completed, our expert wrap installers take over to apply your graphics to your vehicle or fleet, providing a professional finishing for a factory feel. If you want to change, update, or remove an existing wrap, we can assist, as well as make minor or major repairs when needed. For attractive, impactful vehicle wraps and graphics that get your brand noticed, look no further than Black Parrot Sign Studio! Your Santa Ana vehicle wrap partner,our experienced, dedicated staff has the tools, resources, and knowledge to help you separate yourself from the flock. From your free consultation to professional, attentive installation, we create high-quality wraps that complement your brand and meet your budget. Call Black Parrot Sign Studio at (714) 406-0939 for your Free Consultation with a Vehicle Wrap Specialist! Extremely pleased with the lettering and the service provided. 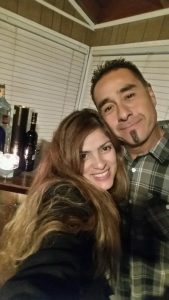 They do amazing work and are very detailed oriented.